Royalty-free stock illustration of a one-eyed ogre with orange skin and a horn, smashing something with its club and looking angry. Royalty-free stock illustration of a one-eyed warrior ogre with blue skin, in plate armor, holding a sharp spear, grinning and looking ready to attack. 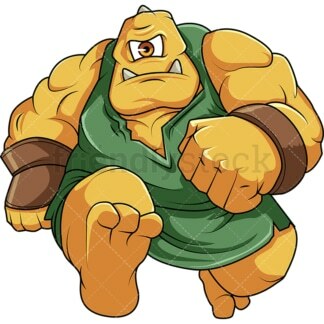 Royalty-free stock illustration of a one-eyed ogre with yellow skin, a horn, sharp teeth, and muscular body, chasing someone or something with a look of determination on its face. Royalty-free stock illustration of a furious one-eyed ogre with red skin and muscular body, grinding its teeth and clenching its fist with anger. 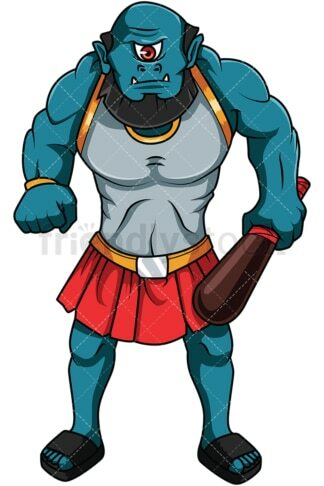 Royalty-free stock illustration of a one-eyed ogre with blue skin, wearing warrior armor, holding a wooden club while clenching its fist, looking tough. Royalty-free stock illustration of a silly-looking one-eyed ogre with muscular body holding a mace and staring at something or someone. 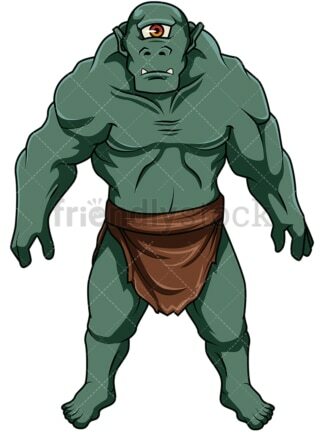 Royalty-free stock illustration of a silly-looking one-eyed ogre with dark-green skin and muscular body, standing and staring at something or someone. 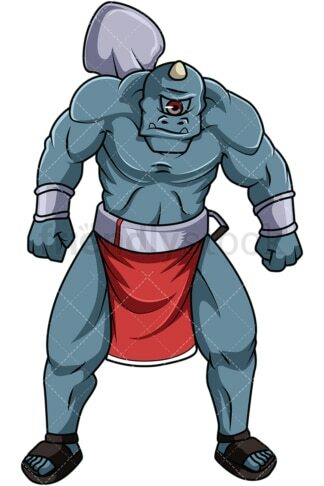 Royalty-free stock illustration of an aggressive and angry-looking one-eyed ogre with a horn and muscular body, carrying a shovel on its back as a weapon. 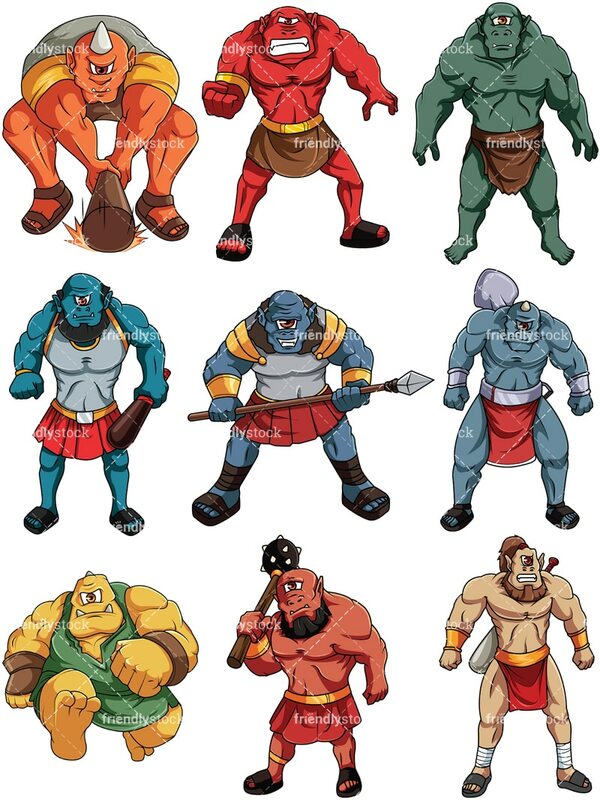 Royalty-free stock illustration of a bearded one-eyed warrior ogre with brown skin and muscular body carrying a club on its back as a weapon.